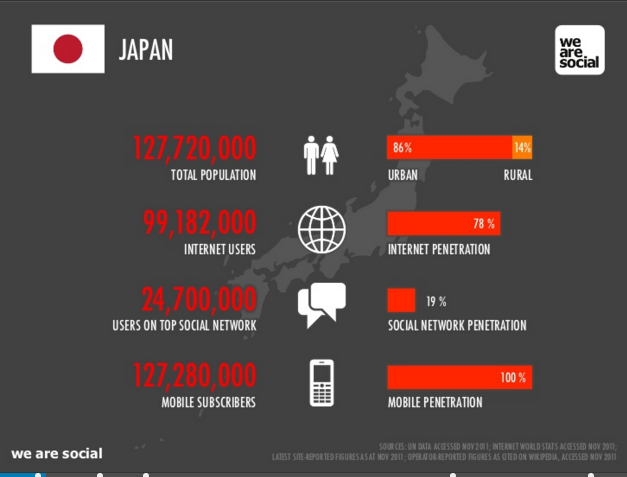 Nearly 80% of Japanese, or 96.5 million people, regularly use the internet (end of 2012). 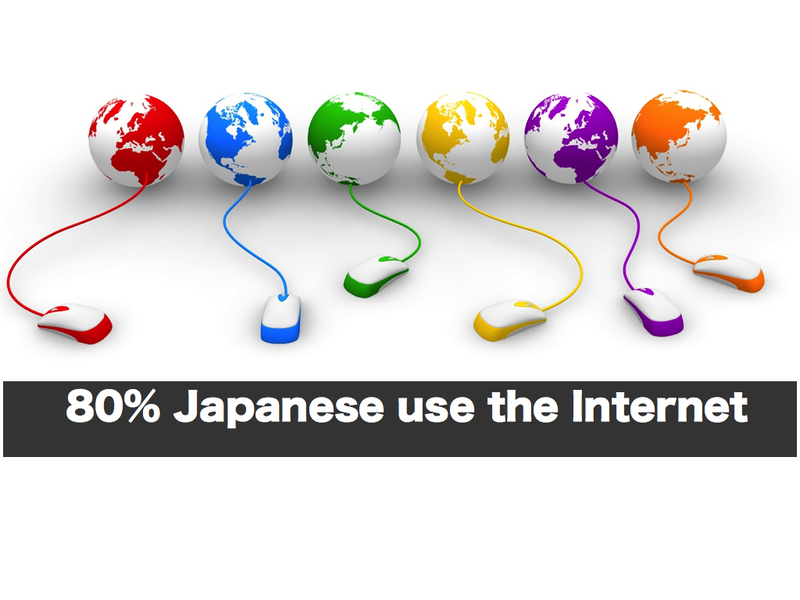 On average, Japanese use the Internet 7 hours a day (including for Work and access by mobile phone). About 87 million people connect to the Internet with personal computers and about 79 million with mobile phones and other mobile terminals. The main reasons for accessing the Internet are to view websites, shop, buy digital content, use map information services, use Internet video distribution services, conduct financial transactions, obtain employment and new job information, and take online study courses. The most common purpose when connecting from the home is to send and receive email. As users of private blogs, Twitter, Facebook and other social networking services (SNS) have been increasing sharply, individuals are gaining more power to convey information. Chatting applications and the Line free-call application are popular for letting the sender express his or her feeling by manipulating the faces and actions of illustrated characters. The number of registered users of these applications is rapidly increasing.